Garcia-Cuaderno 50 pesos. 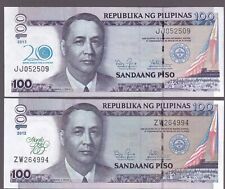 The English Series were Philippine banknotes that circulated from 1949. UK/Australia/Asia 4 - 8. Americas/Canada/Europe/Middle East 6 - 18. Manila Philippines. Victory Series P123c. Manila Philippines. Manila, Philippines. UK/Australia/Asia 4 - 8. Hong Kong/Japan 3 - 5. Americas/Canada/Europe/Middle East 6 - 18. 1941 1 Peso US Treasury Certificate Accordion Error Banknote RARE!